Offering you a complete choice of products which include screw neck aluminum bottles. 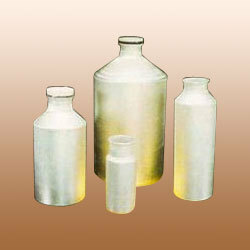 We are professionally company engaged in the fabrication and exporting a wide range of Screw Neck Aluminum Metal Bottles. These are offered with cap in various sizes and shapes. These are stringently tested on different parameters to ensure leak proof and other parameters. These are very easy to open and close. Our collection is widely used in agro-chemical industries for packing of agro chemical powders, granules, tablets and pellets. These are delivered within stipulated time frame at the affordable prices. Looking for Screw Neck Aluminum Bottles ?